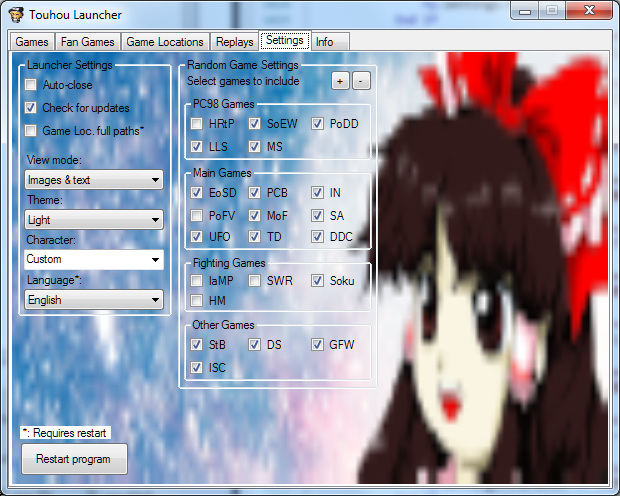 Touhou Launcher is a small project I started that puts all of your games into one program. 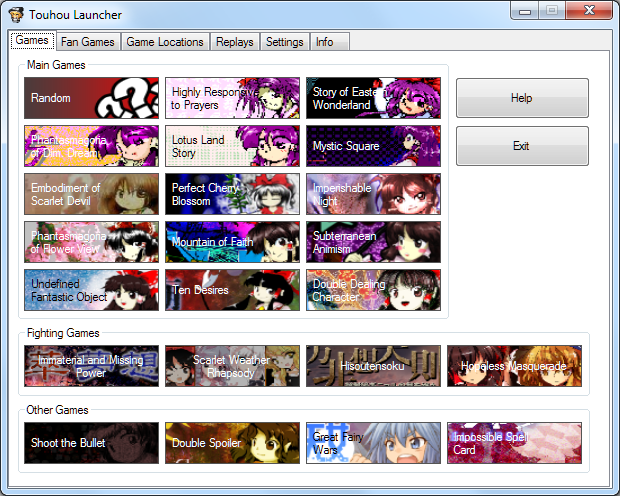 It's nothing spectacular or game changing, but it's useful for people who play more than one Touhou game. Everything you need to know about how to use it is in the readme. UPDATE: 07/05/17: I'm a little busy at the moment, but this will be updated to support TH16. The current version is so old, badly made and in a PL that I've since completely forgotten so the updated version will be made completely from scratch. 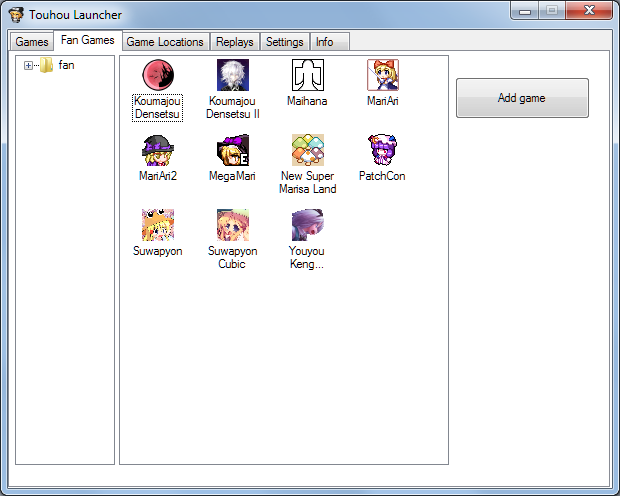 I'll try to include as many features from the current version as possible. The new version will be a significant step up in terms of appearance and functionality. I can add pretty much anything as long as it's not a stupid idea and it's possible. Hit me up via email and give me your ideas. If there's anything you want to tell me about it (suggestions, bugs, help, telling me how beautiful I am) then feel free to email me at widdifulsa@gmail.com or send me a tweet @WiddifulSA. Feel free to ask me to create a custom theme for you, just send me an image and I'll make it as soon as I can. Enjoy your NERD games, NERD!